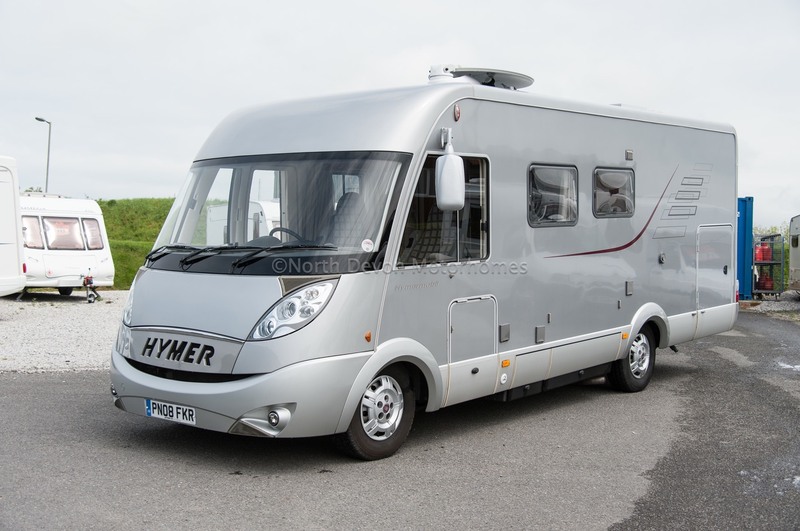 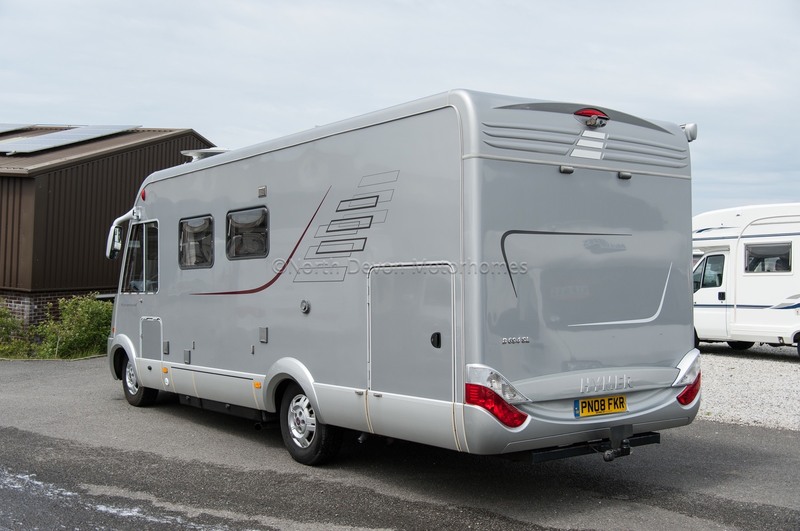 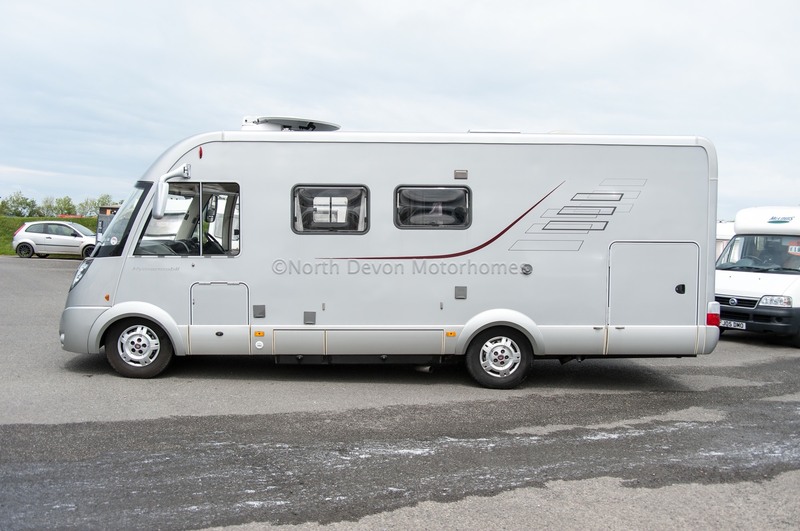 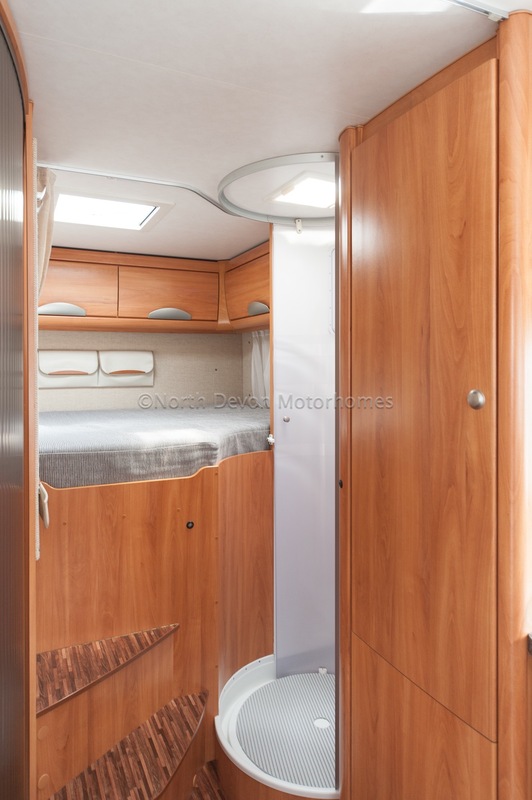 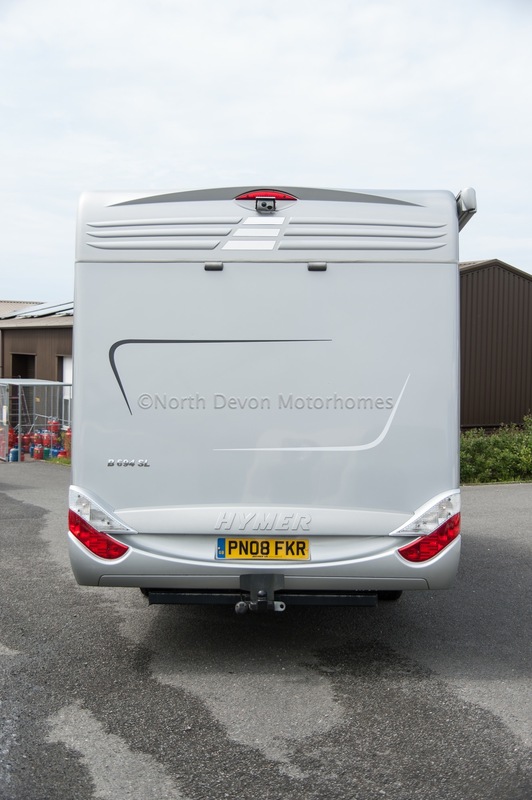 A Class RHD Hymer B694 SL based on 2008 (08) Fiat 3.0 Litre 160 BHP. 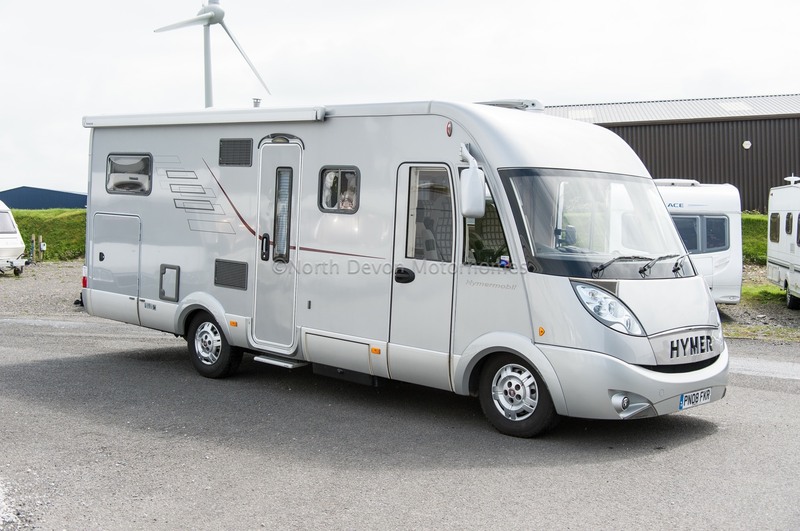 A pristine one owner from new example ( Almost like New out the Box !) with FSH, showing just 15,000 miles. 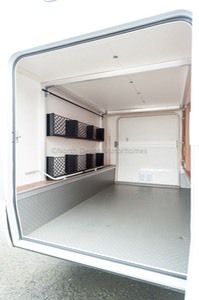 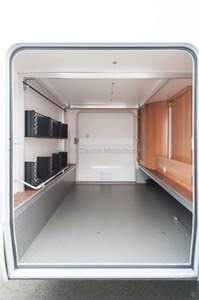 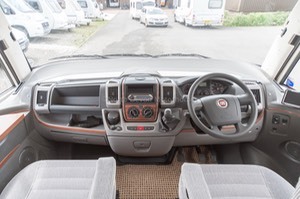 Cab A/Con, Electric Mirrors, Electric Window, Cruise Control, Reversing Camera, Sony Stereo, Fitted Cab Blinds. 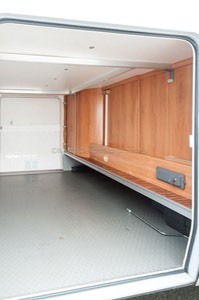 Also fitted Oyster Vision Sat Dish, Sky Mini Box, Flat Screen TV, Solar Panel with additional Leisure Batteries, Awning, Tow-bar, Just add a Tow-car to complete the package! 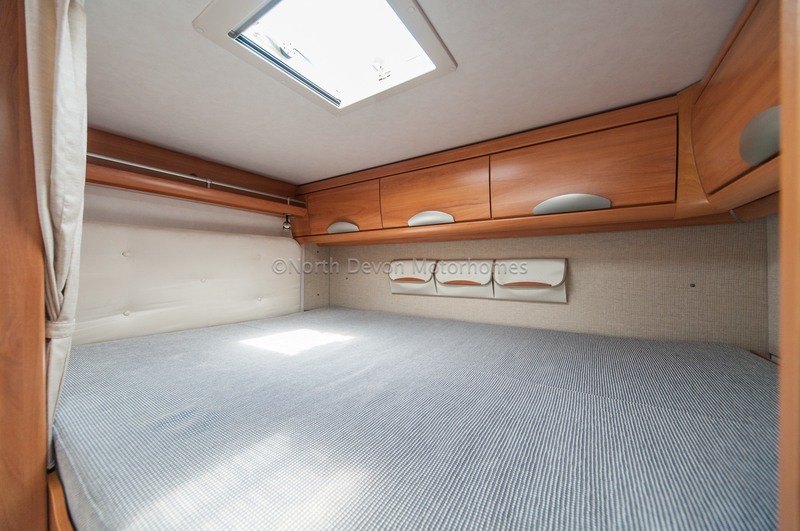 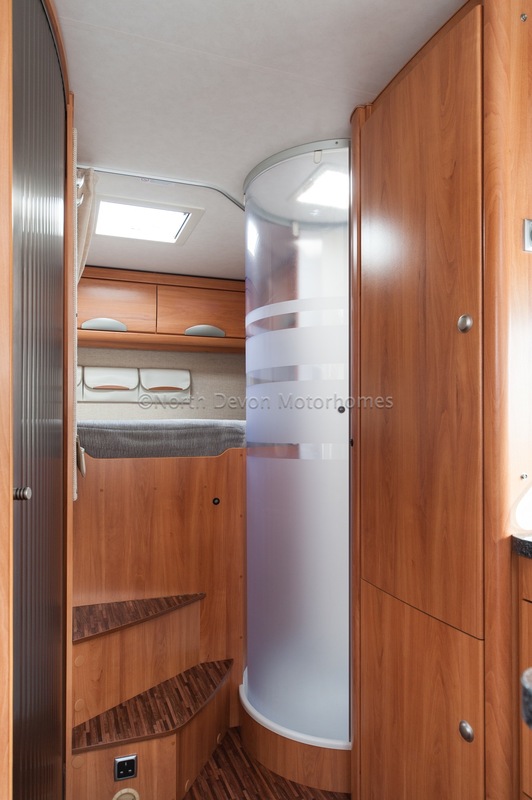 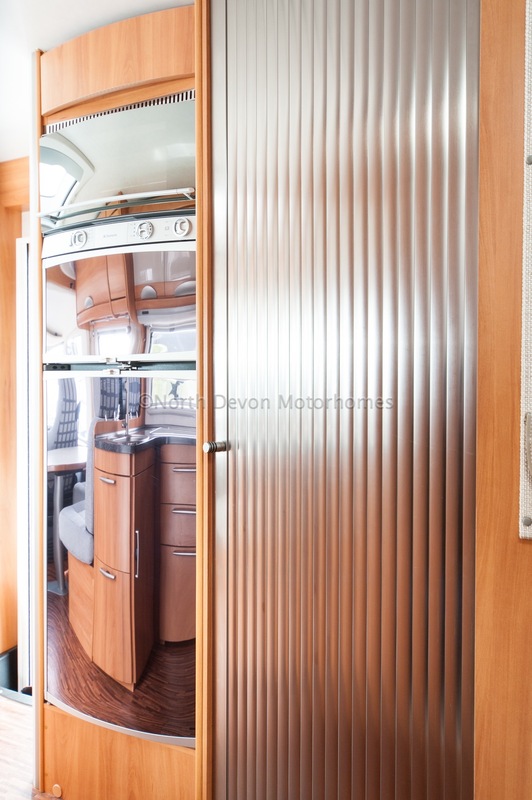 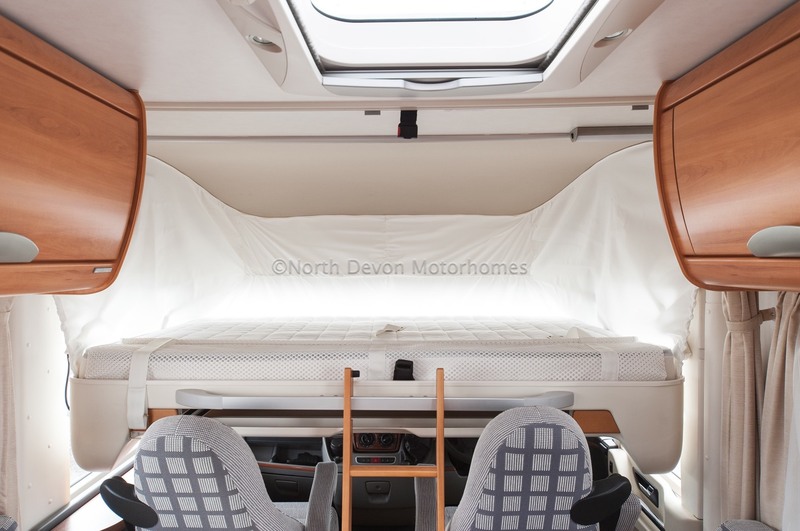 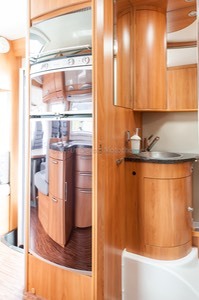 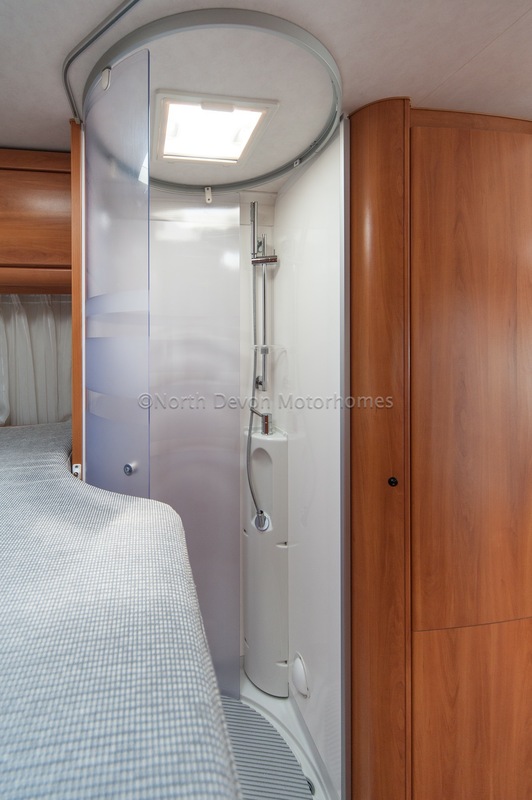 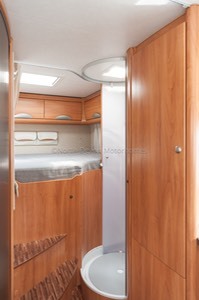 4 berth, with rear fixed transverse bed over large heated garage with built in lighting. 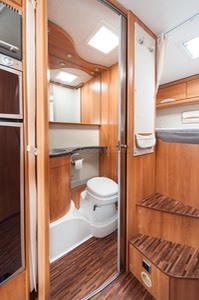 Separate shower and toilet facilities. 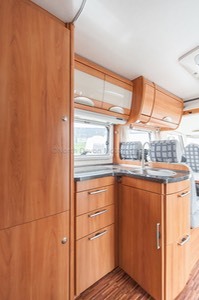 Central well equipped L-shaped kitchen with ample storage and large fridge freezer. 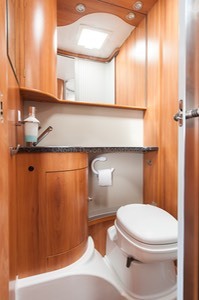 A lovely comfortable front L-shape lounge incorporating the front captain drivers and passengers seating. 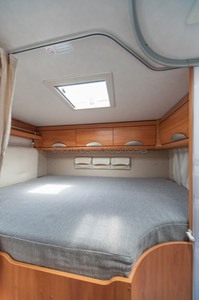 4 berth large fixed rear double and the elegant and much desired front cab swing down double bed. 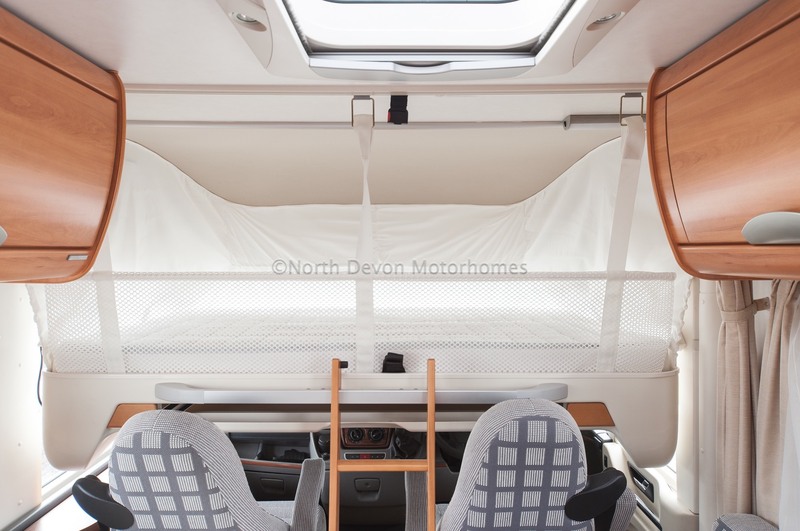 Seat-belts: 4 consisting of front driver and passenger seats, along with two rear habitation forward facing 3 point seat-belts. Summary: Well I guess it doesn't get much better! 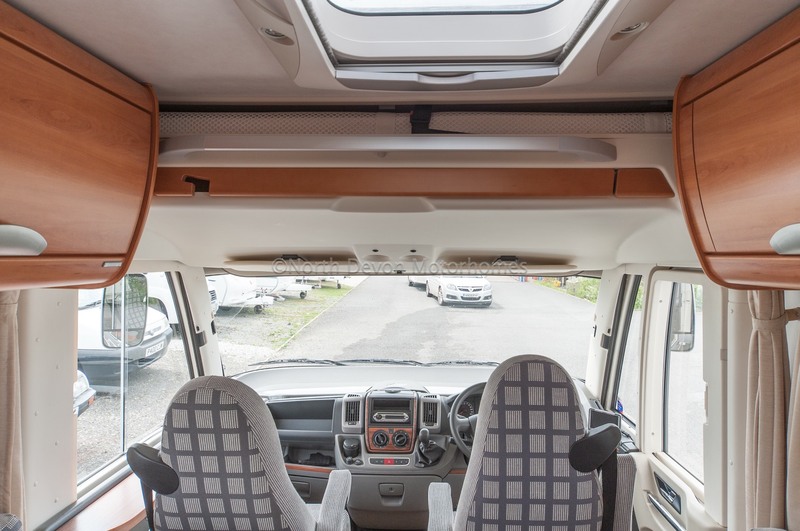 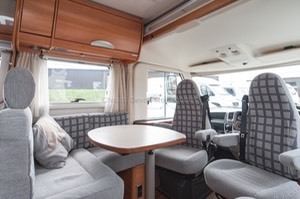 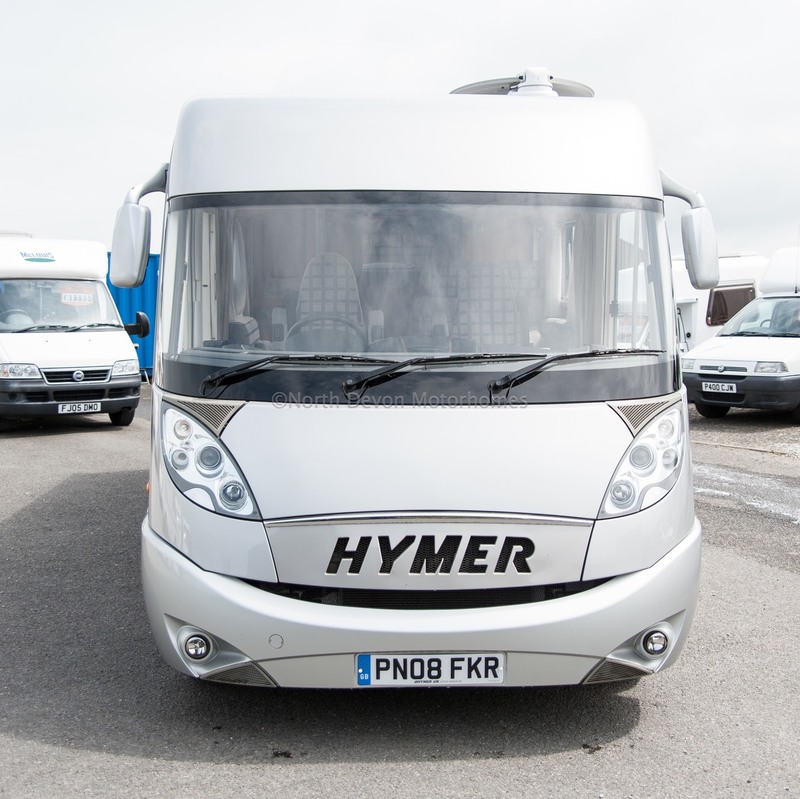 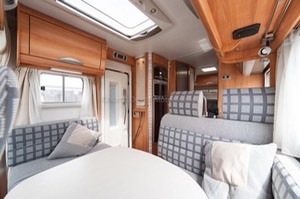 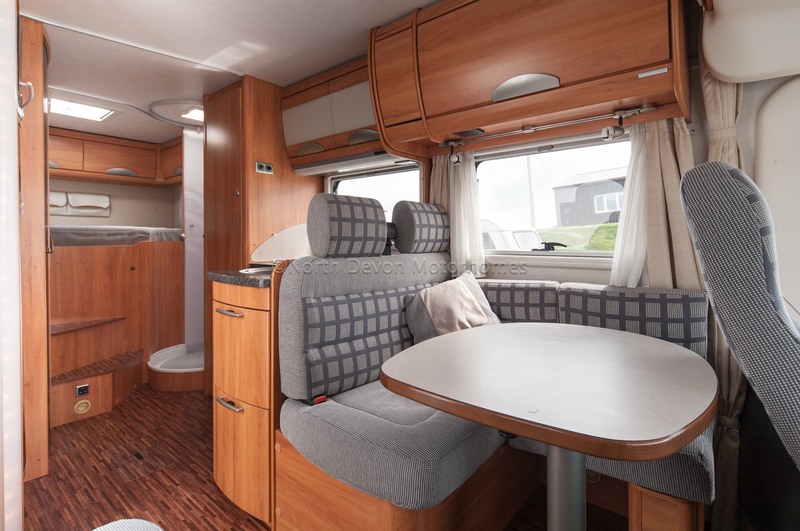 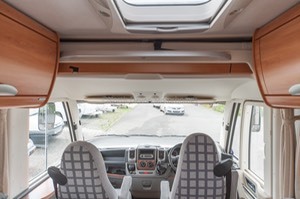 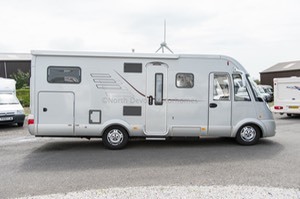 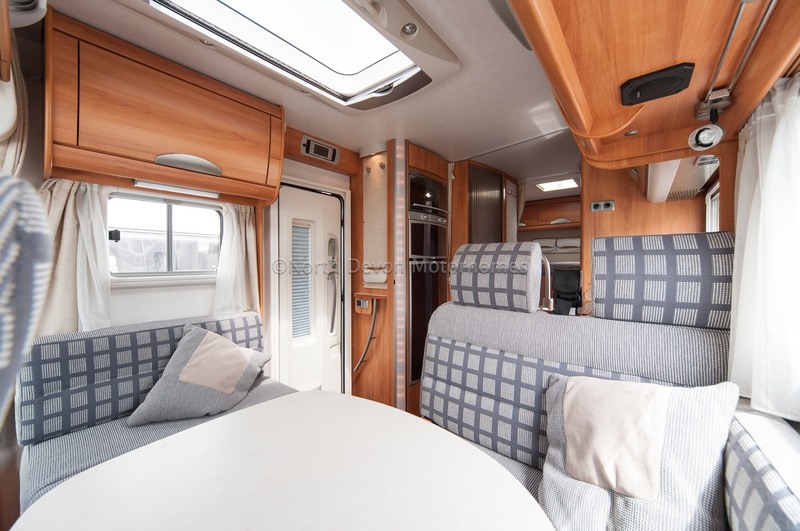 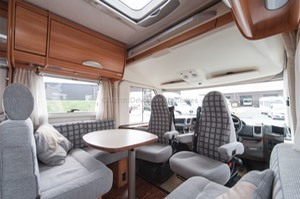 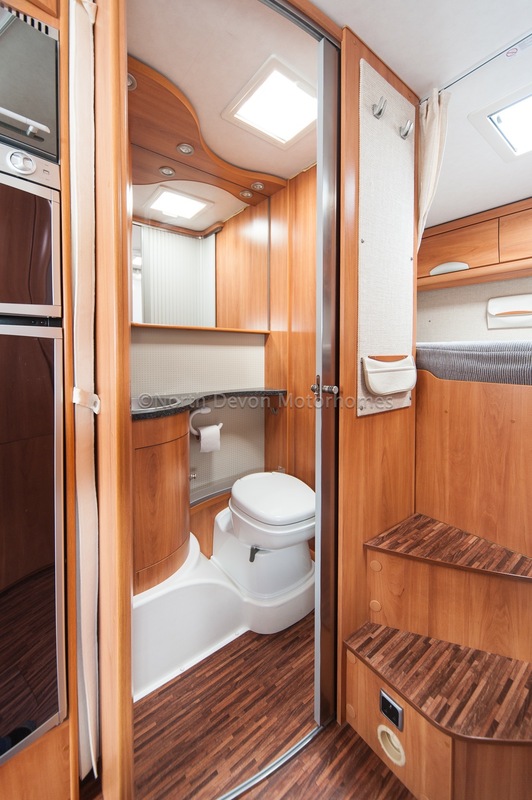 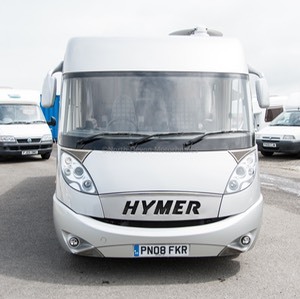 First Class Hymer build quality, One Owner, Full Service History, Low Mileage, Fully Loaded with expensive extras, and all in absolutely superb condition through out. 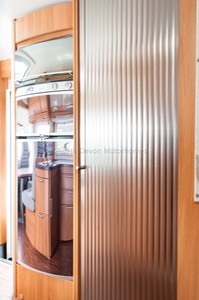 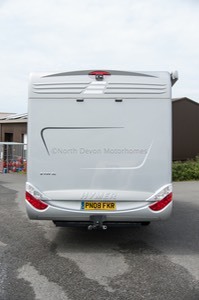 Here is a link to the van review when it was new from Practical Motorhomes. 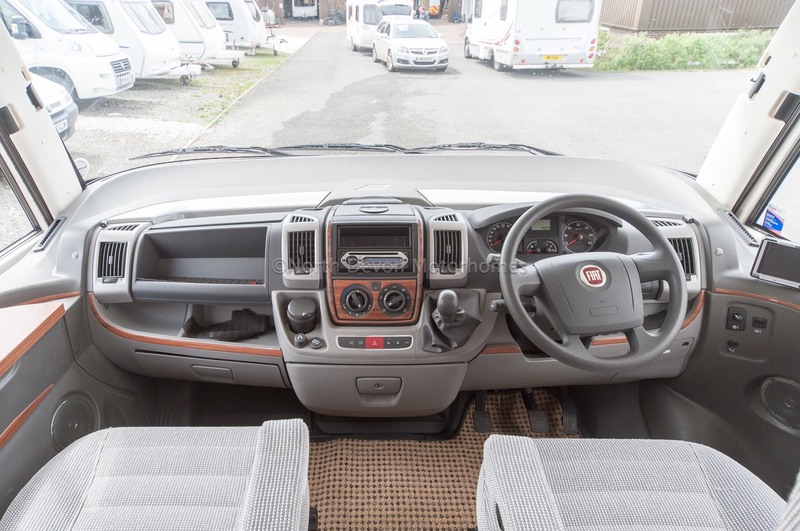 the engine in the review van is 2.3 Litre, this van has the cost plus upgrade to 3.0 Litre, a 33% upgrade in power! 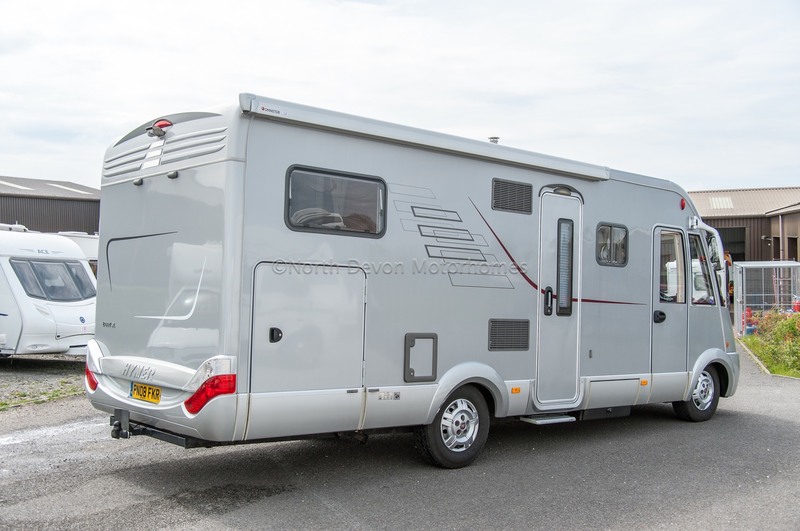 Price: £ SOLD with sensible offers and part exchange considered. 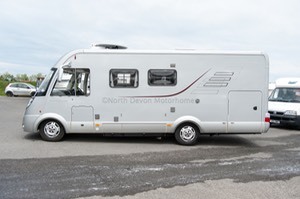 (This vehicle was £64K plus extras when new in 2008 and considerably more now) Try and find another!